So you want to open a trading account with India’s best stock broker? We suggest you to open account in Zerodha, India’s premier discount stock broker. 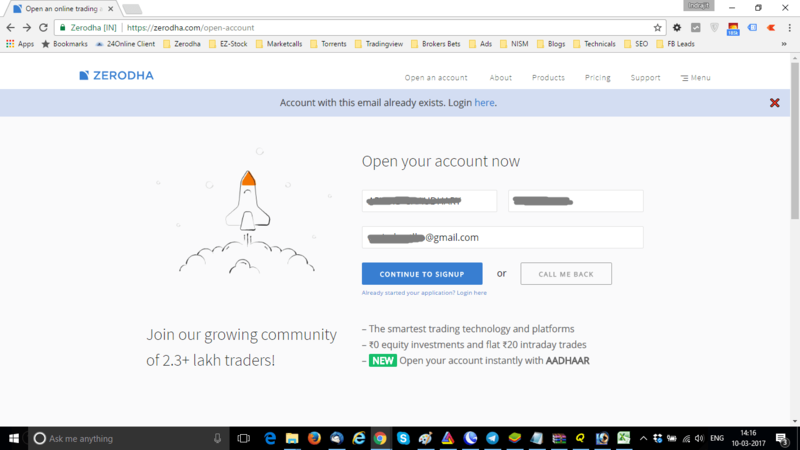 If you open the account through our site Lowbrokers.com we even provide few extra benefits to out customers and we call this service ZERODHA VIC CLUB. 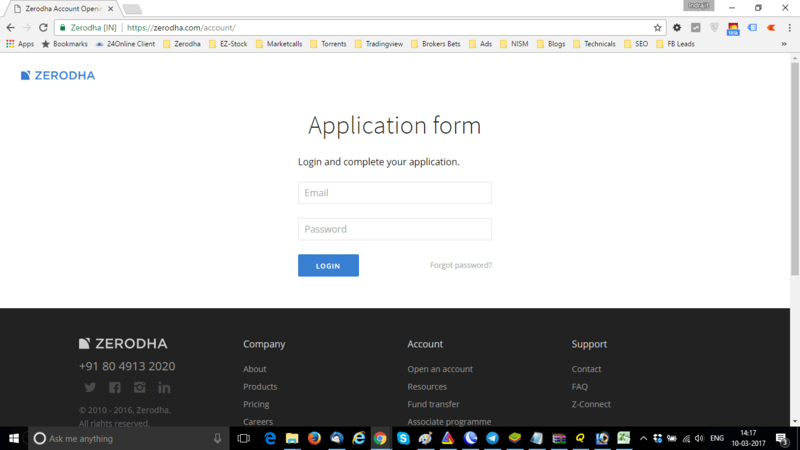 For an immediate callback and assistance regarding open account in Zerodha please fill up the form below. Initial training on money making trade setups on Pi / Kite. Live trading calls from top research analysts on Telegram. For any kind of account opening assistance give us a call at +91-9650766522. 1:-Take a scan of your PAN CARD and save as jpeg or pdf. Now go to Zerodha Account Opening page CLICK HERE. Here you can put your details that you provided to us and click CONTINUE TO SIGNUP. 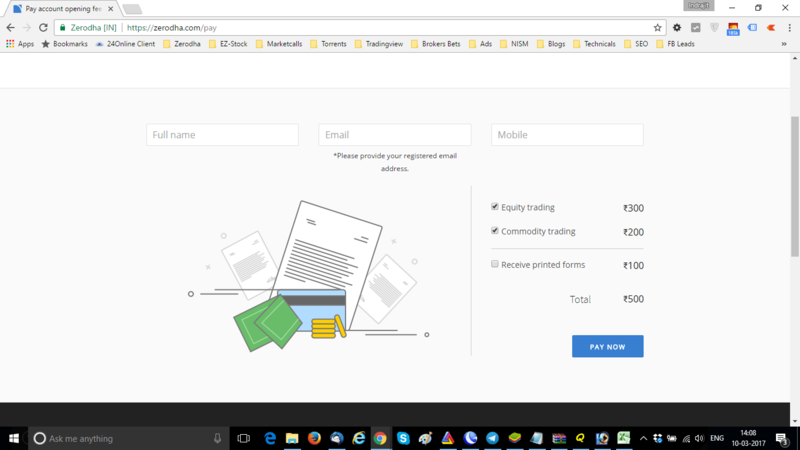 As your details are already registered with Zerodha, it will ask you to login. Click on the login link and in next page login with your ZAT login id and password. his will take you to online payment page. Just select your markets, fill up the name, email id and phone number and click pay now. If you check the box beside “Receive printed forms”, after payment Zerodha will ask you to upload your scanned documents and they will fill the form up and send it to your address. Once the accounts are opened, transfer funds, We will add you in our telegram & Whatapp Grp.